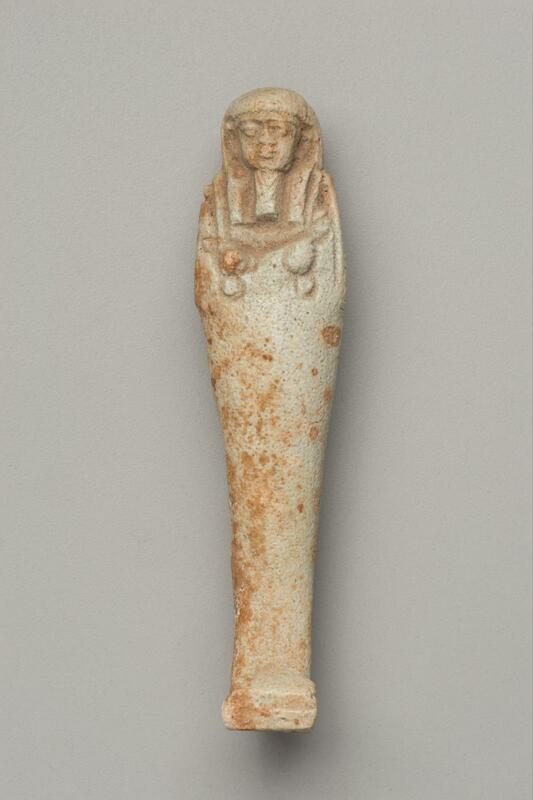 This Late Period shawabty is inscribed for Horemakhet born of Hetepbastetrew. The typology of the Late Period consists of a tripartite wig, long beard, back pillar and base, with the figure holding the pick on the right shoulder and hoe and cord to a small seed bag on the left. Here the arms are crossed right over left. The beard is plaited. There is no wig line on the back of the figure. The incised text on the back pillar extends to to the top of the back of the head. This shawabti is inscribed with one vertical line containing Horemakhet’s name and his mother’s name. 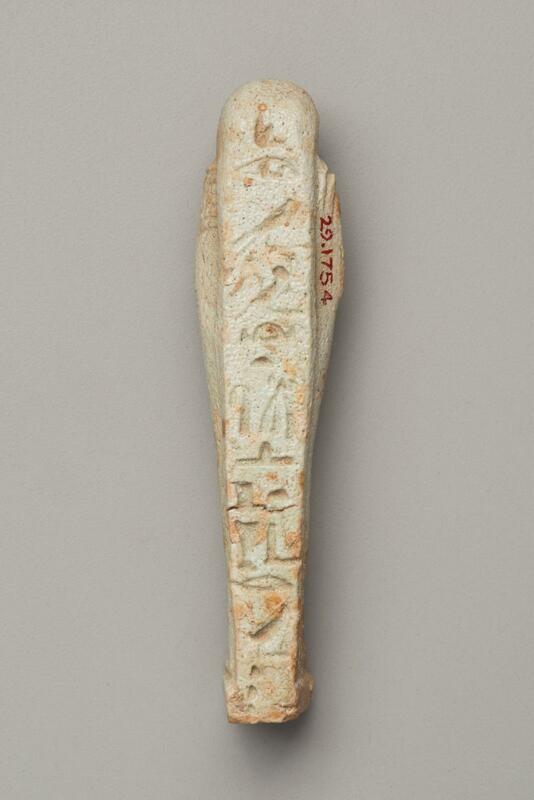 From Giza, Pit G 7524 A, room VII, [originally from room III or room VI, probably room VI]. 1929: excavated by the Harvard University–Boston Museum of Fine Arts Expedition; assigned to the MFA in the division of finds by the government of Egypt.